Artefact Description Cardboard box with cigarette. The box has an inscription inside the lid describing the occasion for its presentation. 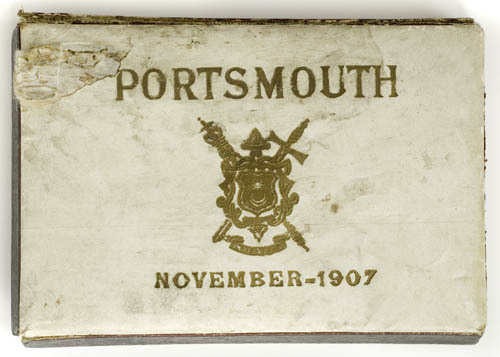 Crest of Portsmouth and date (November 14 1907) on the front. 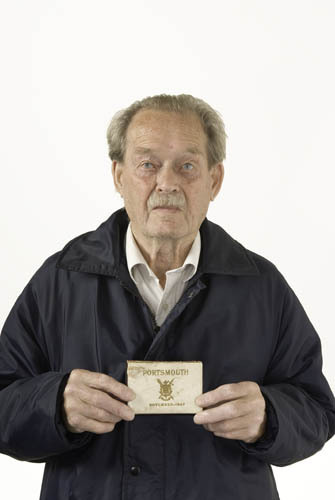 History of Artefact Given to Mr David Davis's grandfather (G.J Davis) who were builders and contractors in Portsmouth. Historian - 'The Mayor at the time was F.G Foster.